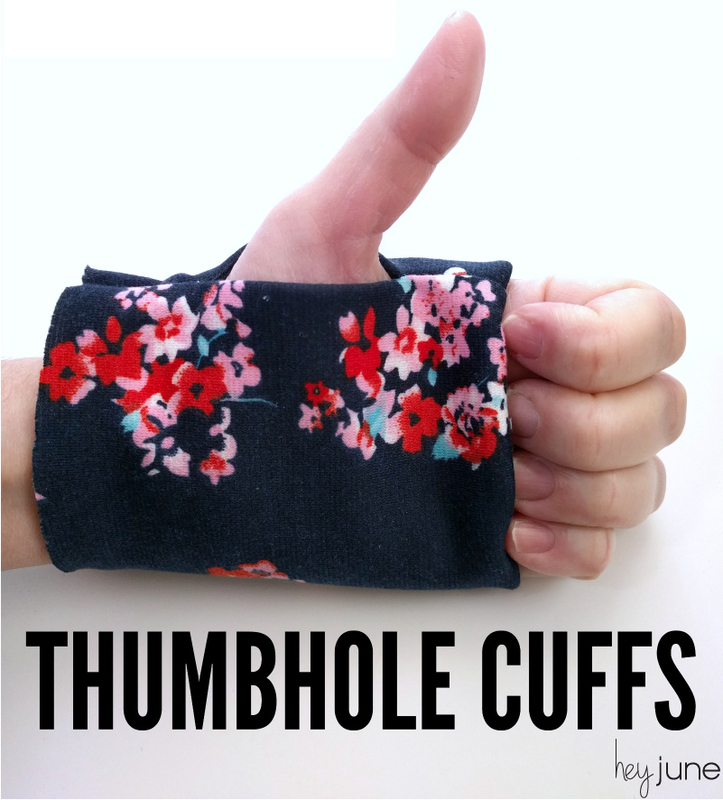 Today we’re going to learn how to make thumbhole cuffs or wristbands! 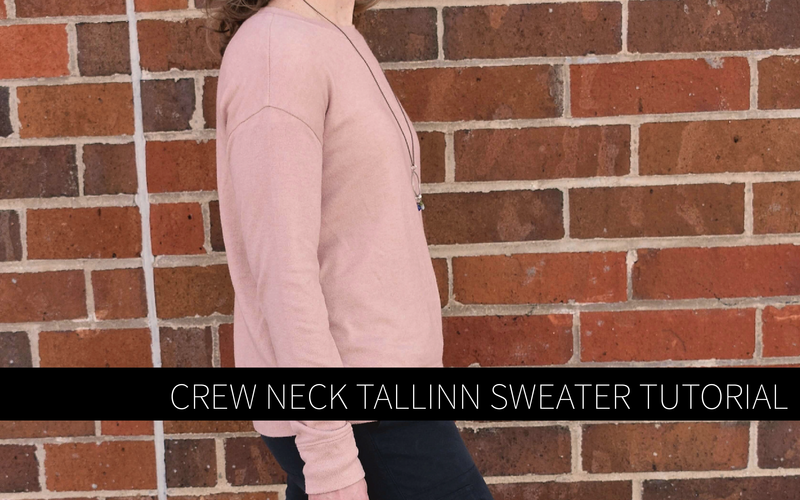 You can add these to any long sleeve hoodie or shirt pattern, or even add them to RTW! They’re fun and warm and did I mention fun? 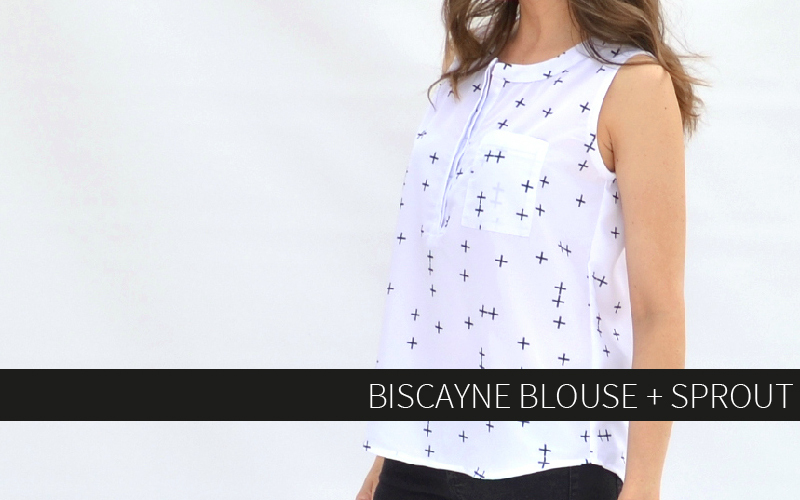 If you’ve been hesitant to try these, now is the time! This is the place! You can do it! I promise it’s really not that hard. 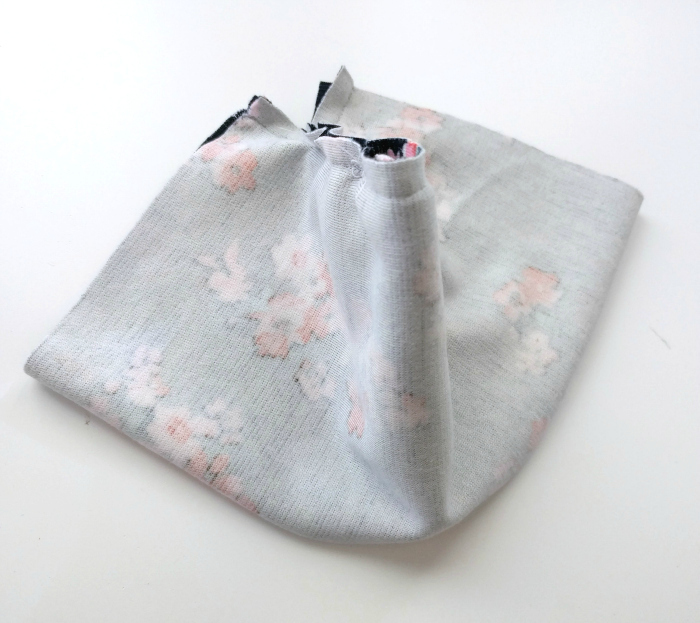 Make a test version or two and you’ll be sewing them with ease and maybe even understanding the hows and whys behind this fabric origami. 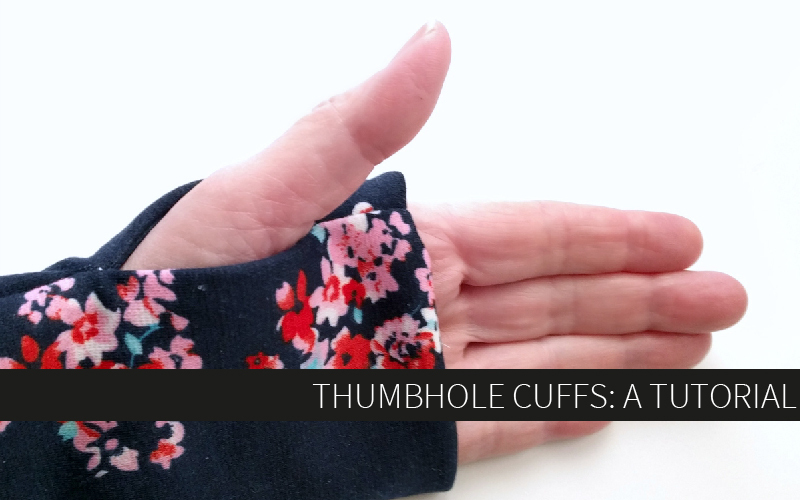 But if you don’t want to think too hard, just follow along, suspend your disbelief, and you’ll end up with a perfectly formed thumbhole cuff – pinkie swear. Let’s dive right in. 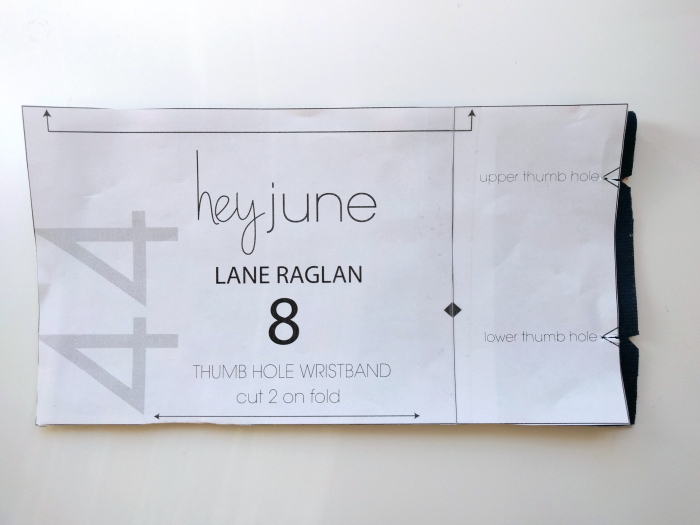 I’m using the pattern piece for the optional thumbhole wristband on the Lane Raglan. 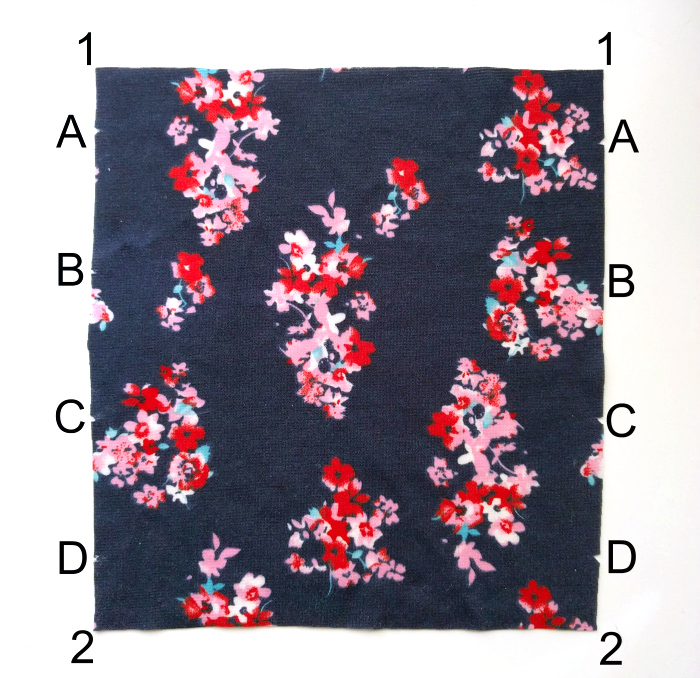 If you’re using this pattern, please note that the fold of fabric lays across the top of the pattern piece, which is a little bit different. 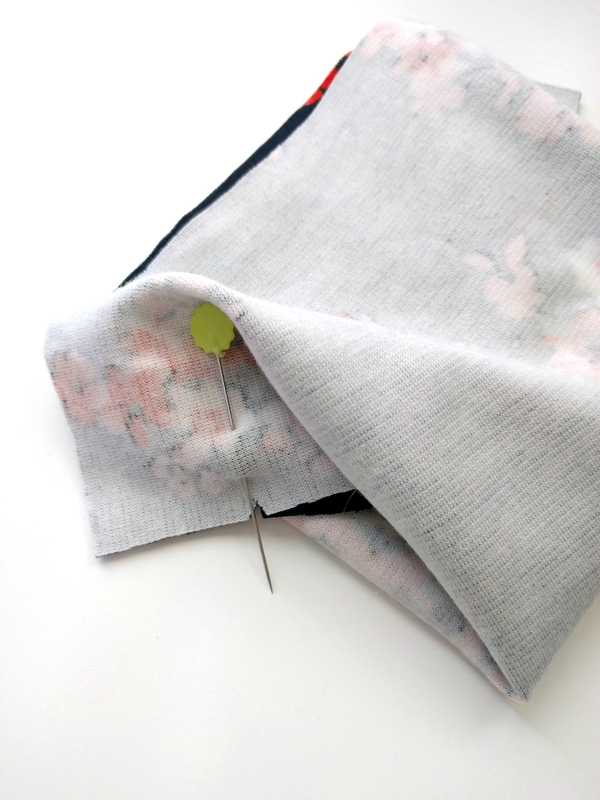 With your fabric still on the fold, cut notches through both layers of fabric where indicated on the pattern. 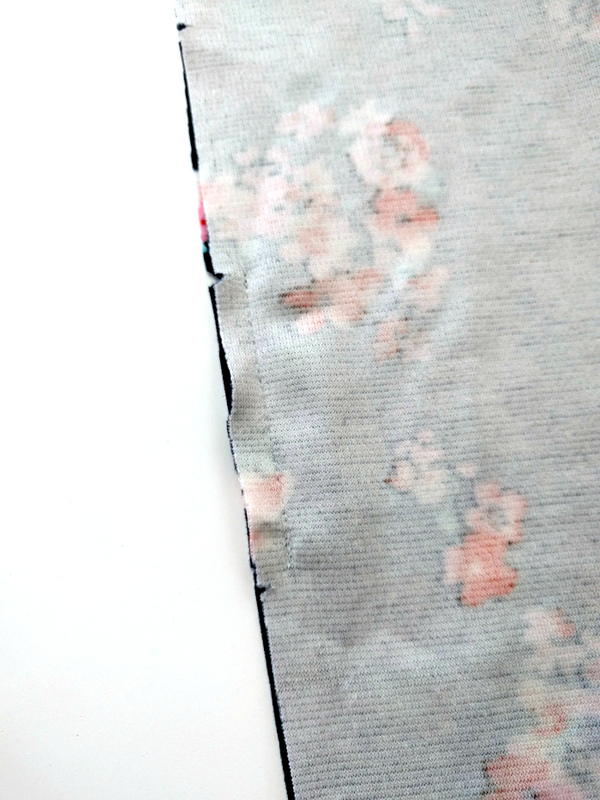 Flip the pattern piece over and transfer the notch markings to the other side of the band. 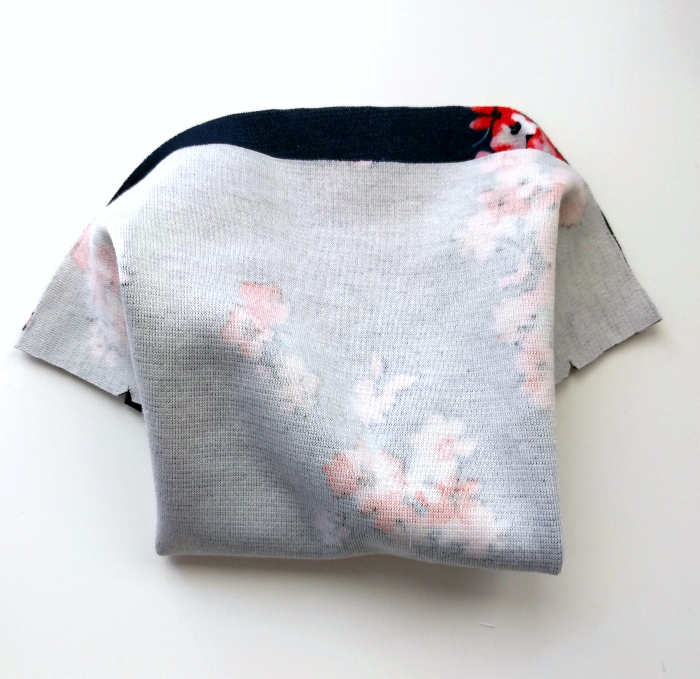 Now when you open up your full pattern piece, you’ll have four notches on each side. To help you out with this tutorial, I’m going to label them vertically A,B,C, & D. Put a corresponding letter on the opposite notch. 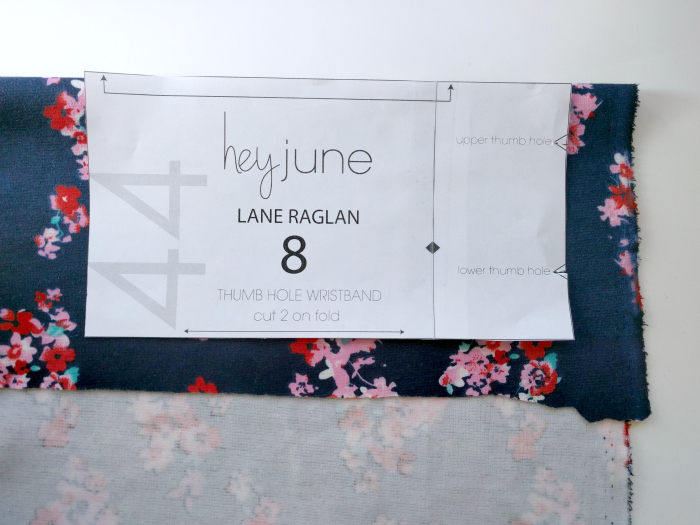 For your test version, I very much recommend writing these letters next to each notch using a permanent marker on the WRONG side of the fabric. You can also label the top corners “1” and the bottom corners “2” to help differentiate. Fold the band right sides together lengthwise, matching up same letters. Put a pin through the Bs and Cs. 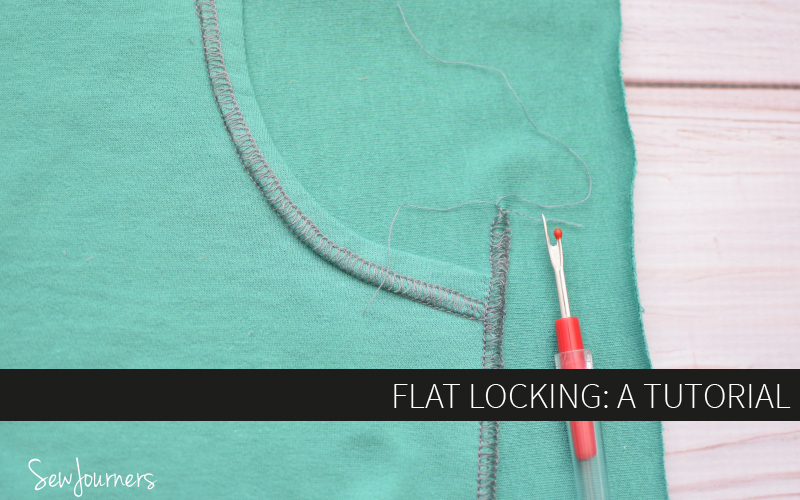 Sew between B and C, using a 1/4″ seam allowance and locking your stitches well at the beginning and end of the stitch line. 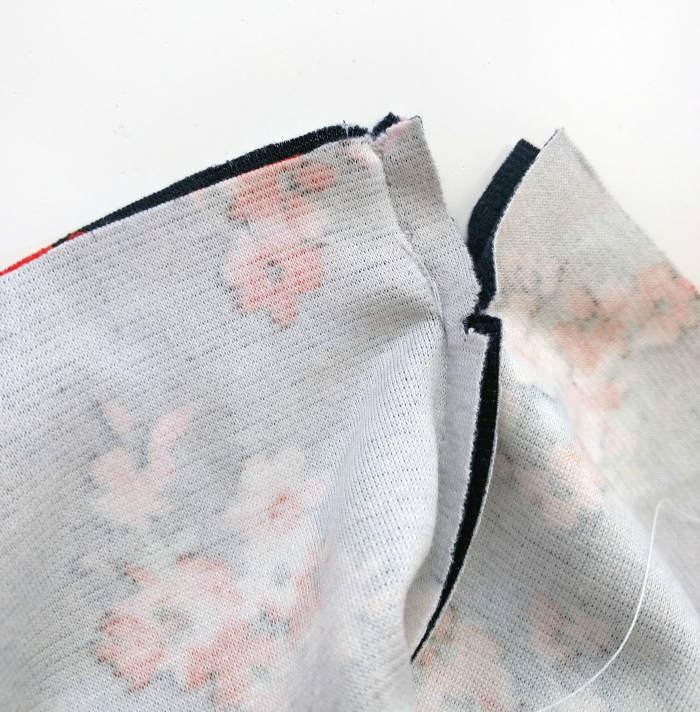 For the whole construction process, it’s very important to maintain even seam allowances and to lock your stitches well! Open up the band as pictured, so the seam is laying on the top and both ends are opened up to reveal the right side of the fabric. It will resemble a vertical bow at this point. 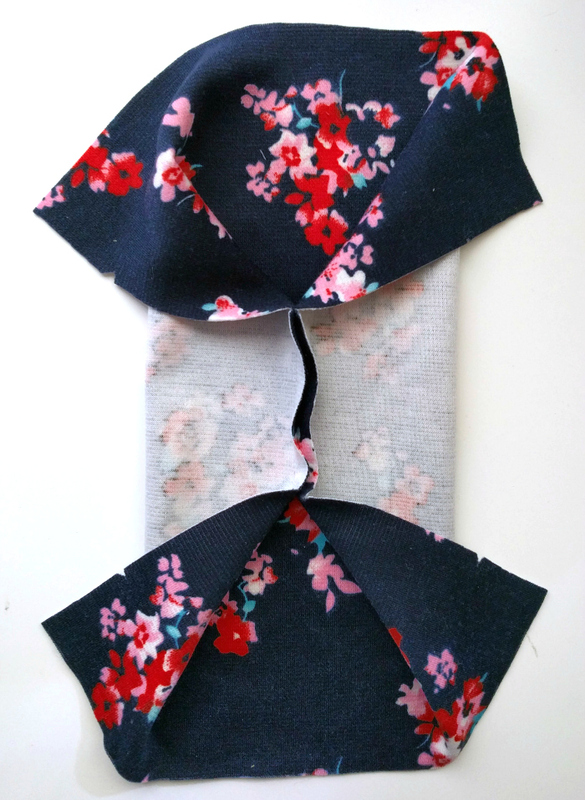 Fold the lower half of the “bow” up to match the top half, right sides together. You will be bringing the corners labeled “2” up to meet the corners labeled “1”. On the left side of the band, put a pin through the points A and D, which should now be aligned. 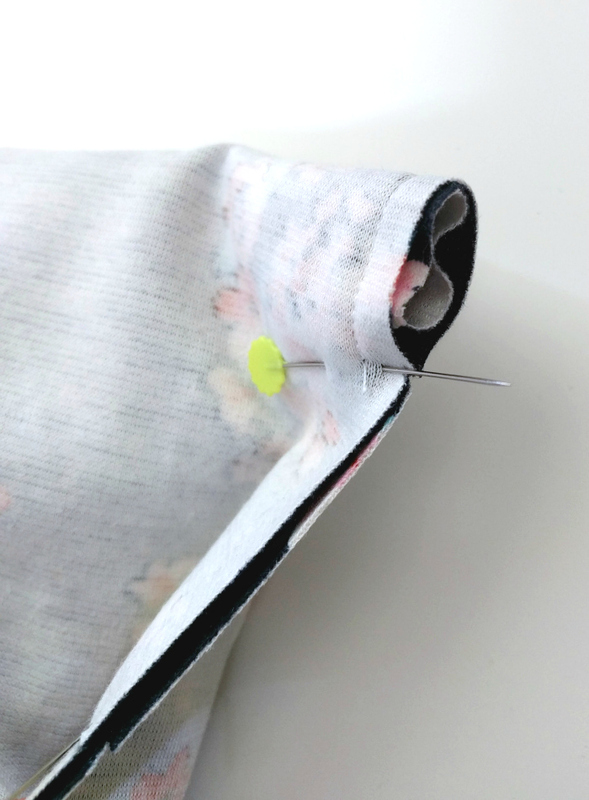 Straighten out the folded edge until you can see the previous stitch line that runs from B to C.
If you flip the band around, you’ll see that inside the loop created by the pin and the fold are the seam allowances from your first seam. 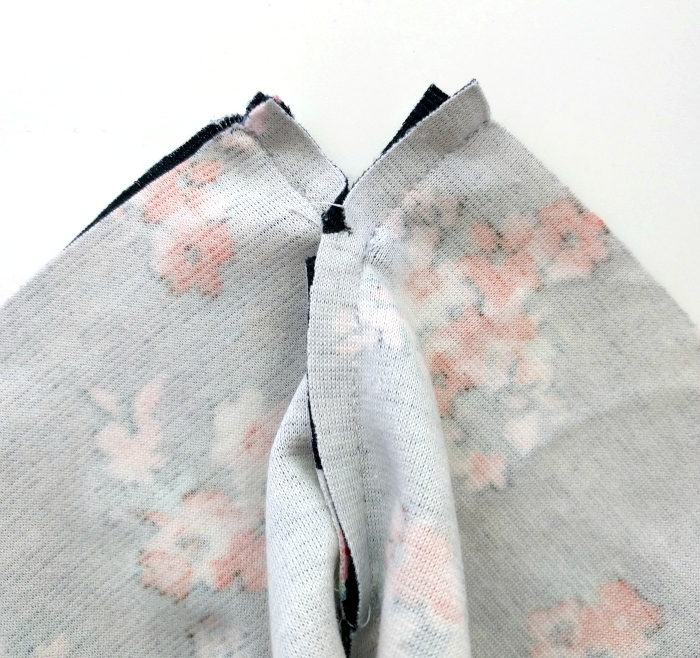 Push the seam allowances and all the excess fabric far into the hole to keep it out of the way. 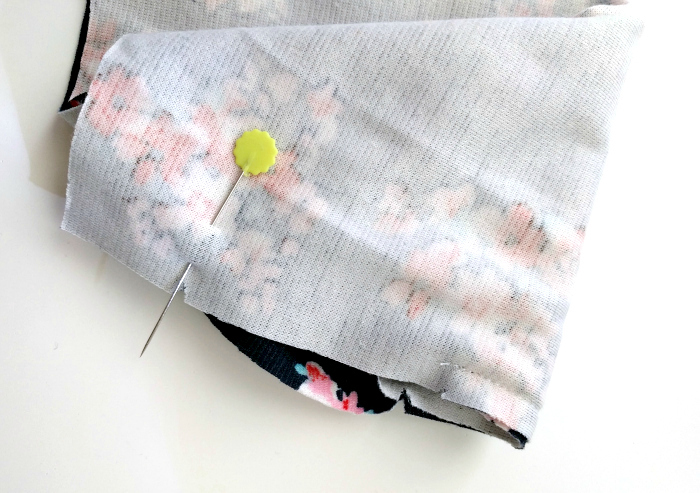 Continue pushing the excess fabric into the band until you can put a pin through the points marked B & C without catching any fabric in between. 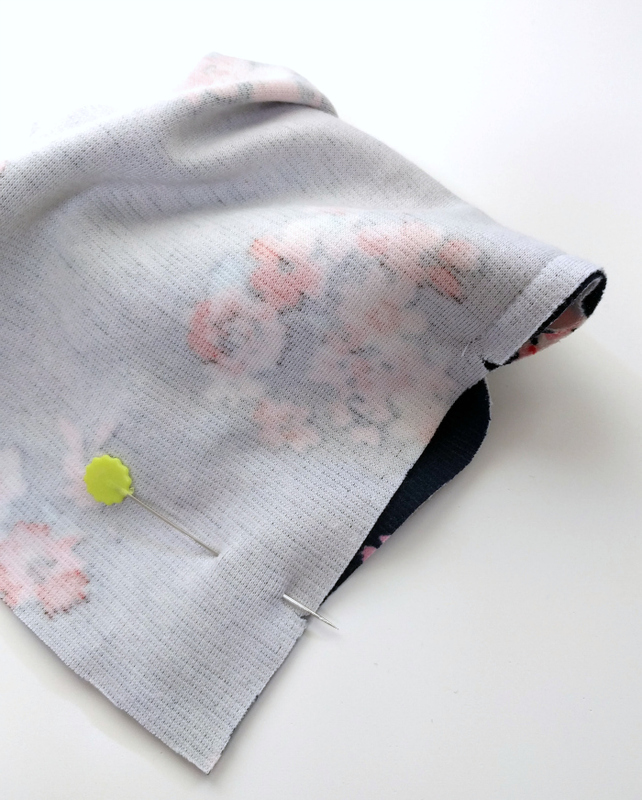 The fabric should now be flat between the pins with no excess fabric bunched up underneath. 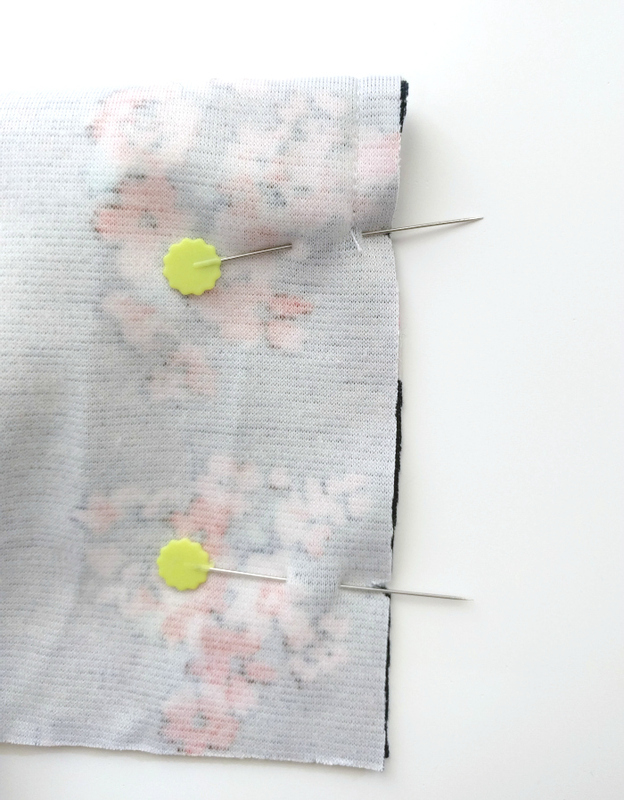 Sew between the pins (From the B,C point to A,D). 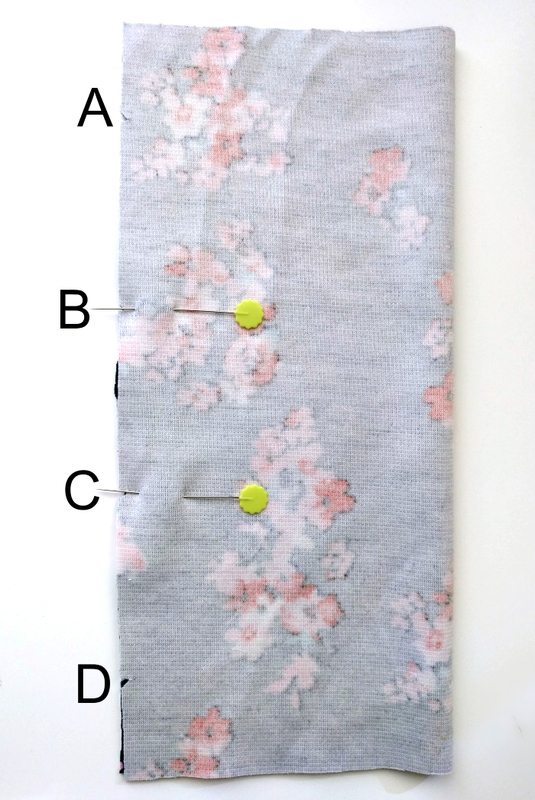 Try to put your needle down in the exact spot you stopped sewing at C.
Now flip the band over and repeat the last few steps to sew between the B points and the other A,D point on the other side. 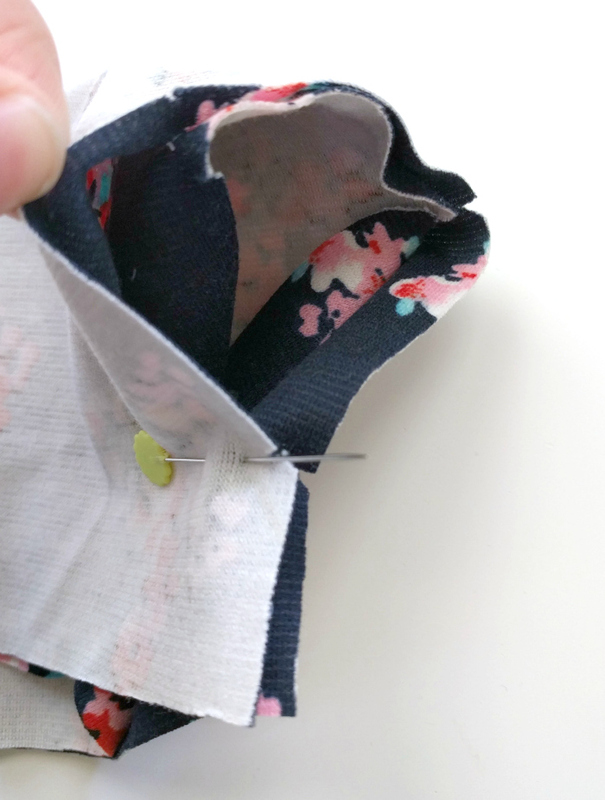 Once again, push all the excess fabric out of the way until you can put a pin through the B point and sew without catching any extra fabric in between. 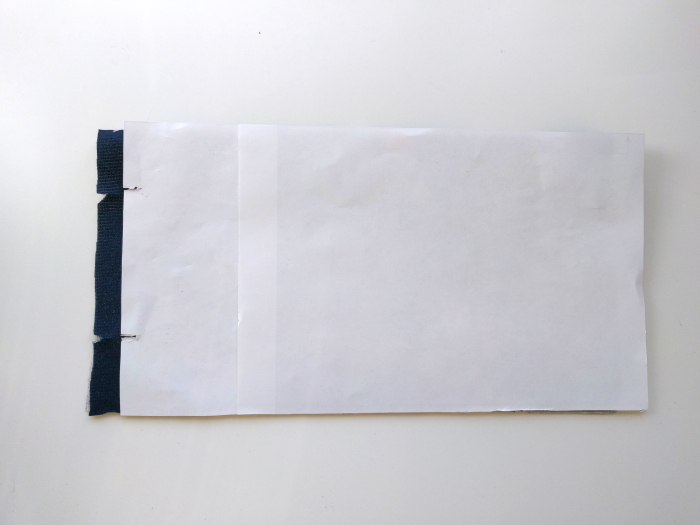 When both sides are sewn up to the A,D point, you should be able to open up the band with the right sides facing up and have something that resembles this. As you can see, there are still four raw edges between the A,D points and the corners of the bands (1,1,2,2). Fold the lower half of the band up to meet the top, aligning 1 with 1 and 2 with 2. 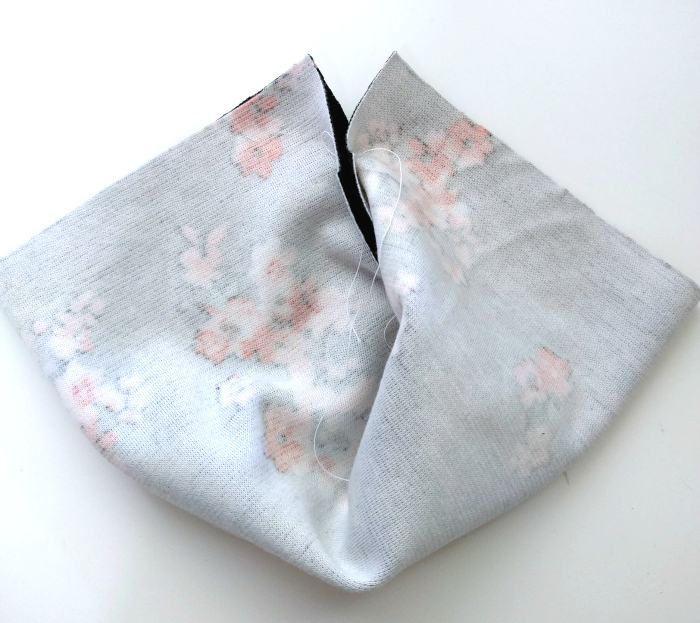 Flip the seam allowances to one side to reveal the seam line. Put a pin through the A,D point where the seam ends. 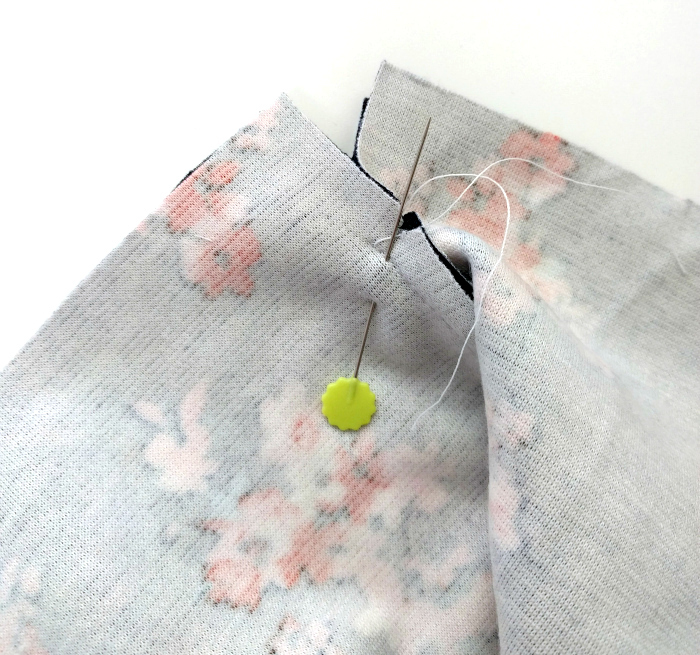 Sew from that point to the corner. 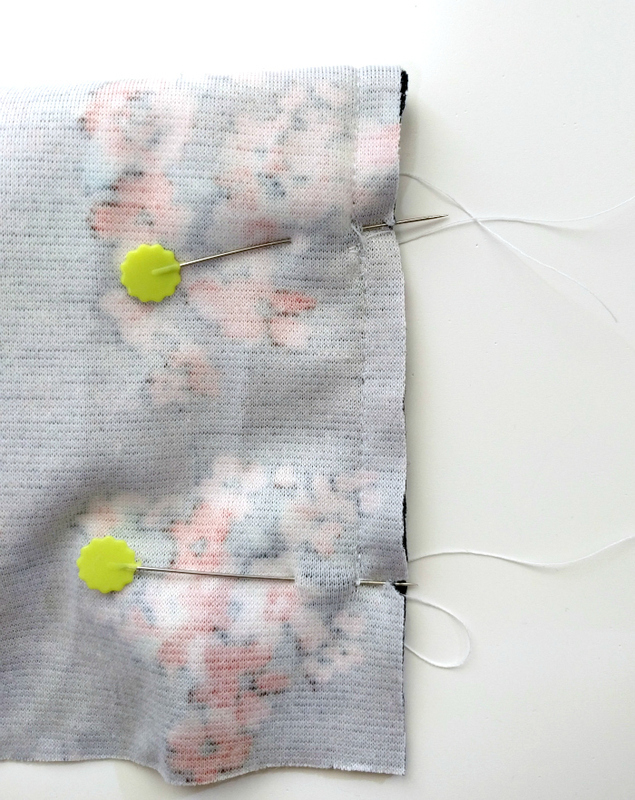 Repeat to sew the remaining raw edges together up to the corners. Pull the band out so it’s not bunched up within itself and you should have something that resembles this. 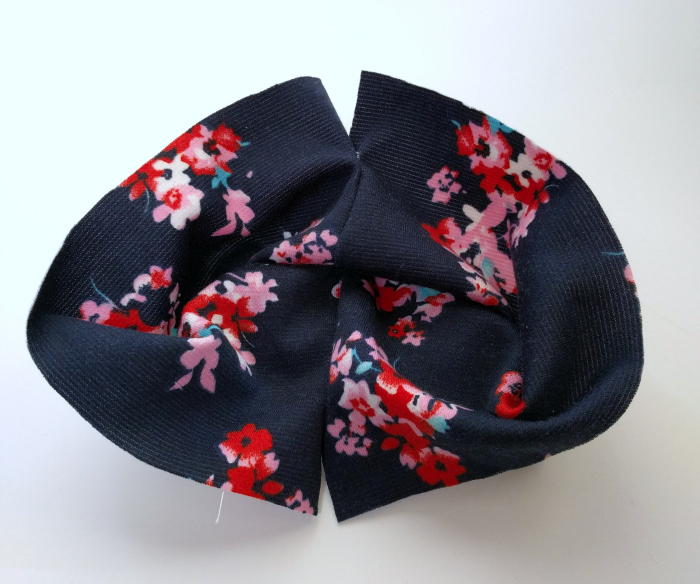 The fold in the center that is standing up will end up being the fold at the top of the cuff that goes around your palm. 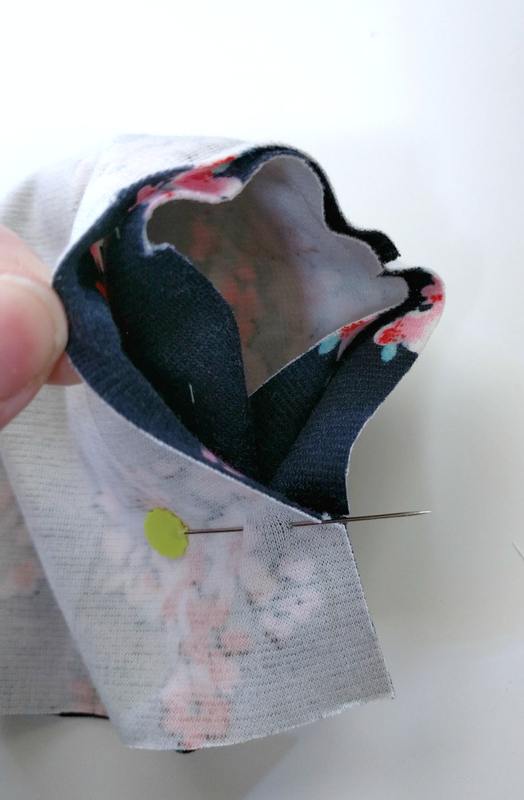 Turn the cuff right side out until the raw edges align. 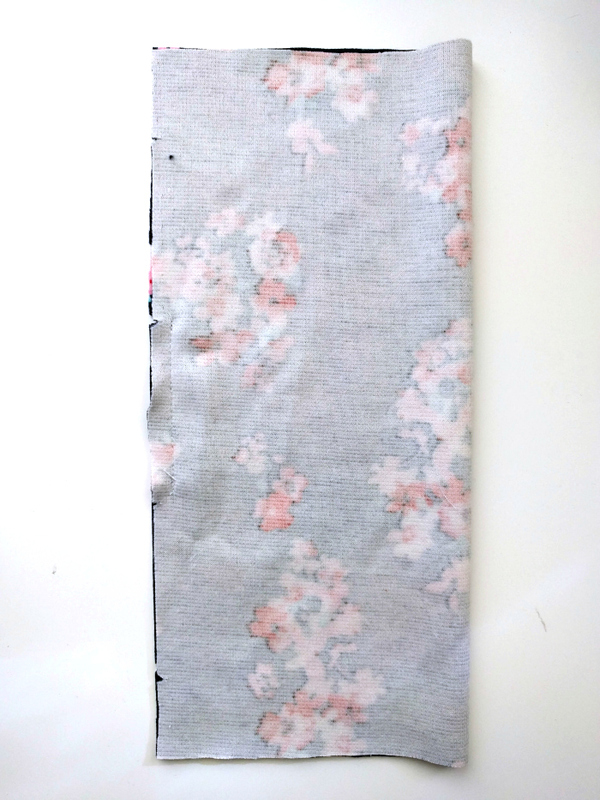 Use a press cloth and press everything nice and flat. 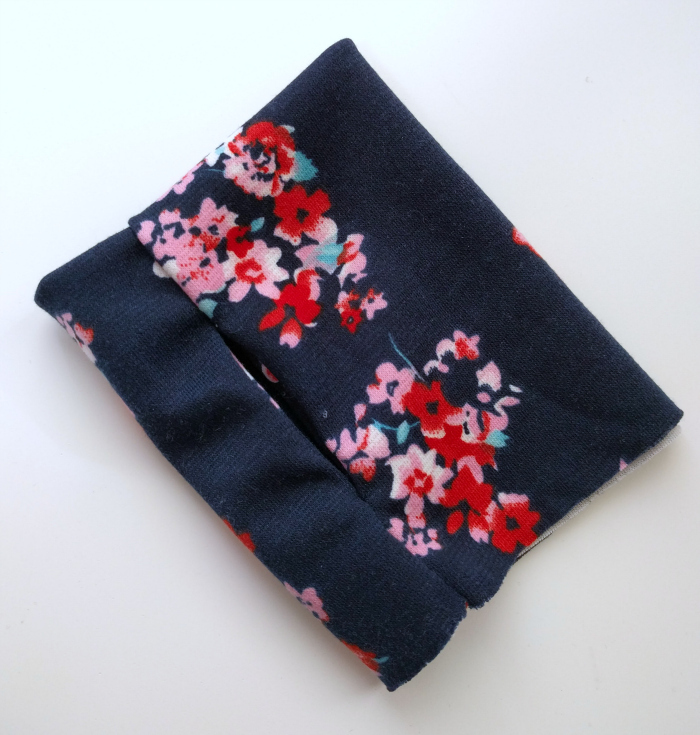 Now just repeat all these steps for the second thumbhole cuff! 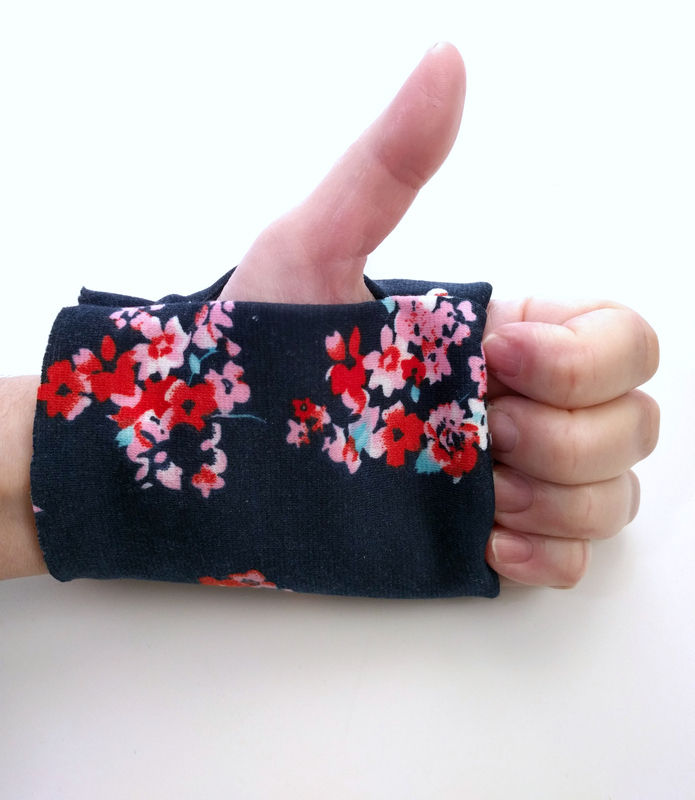 At this point you can sew it to any long sleeve just as you would a regular wristband. 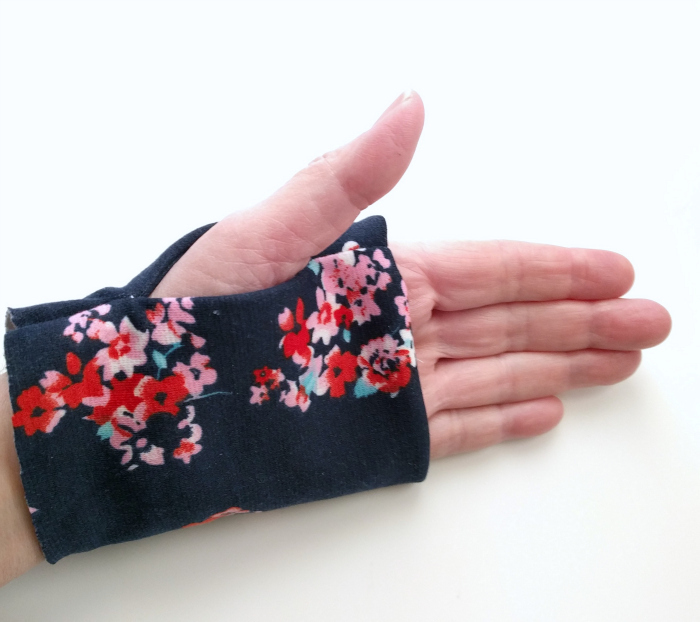 The Lane is designed to have a thumbhole wristband, but if you’re using another pattern, measure the sleeve first to make sure it will be long enough. You want some excess length in your sleeve so it doesn’t pull the cuff around your thumb. 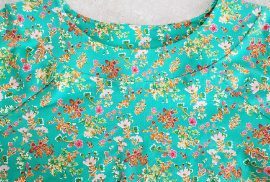 How can I adapt this to add cuffs to the Union St Tee? This was a lifesaver! Thank you for the pictures!